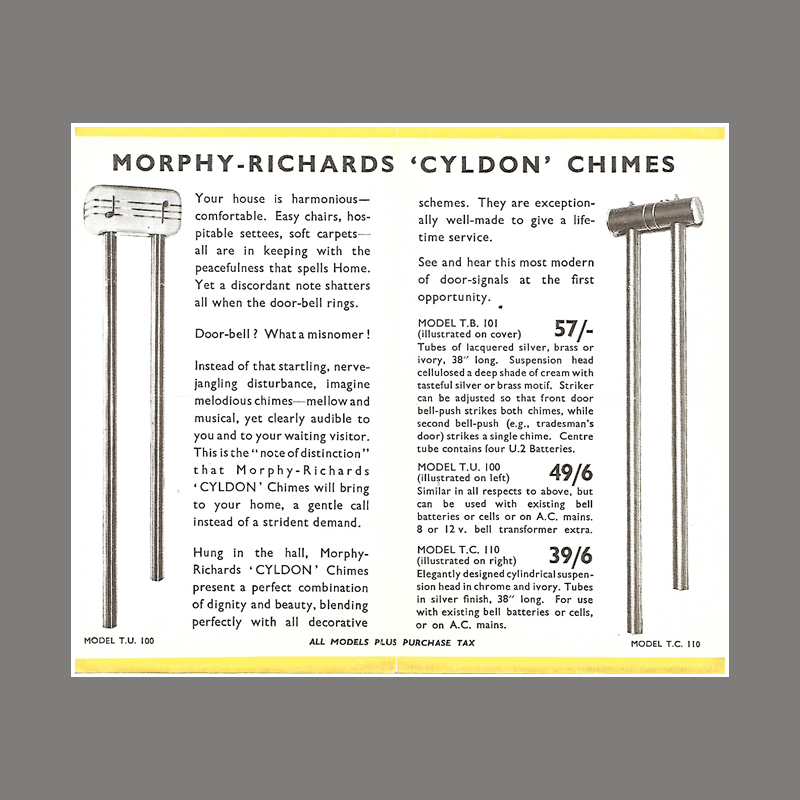 The Morphy-Richards T.C. 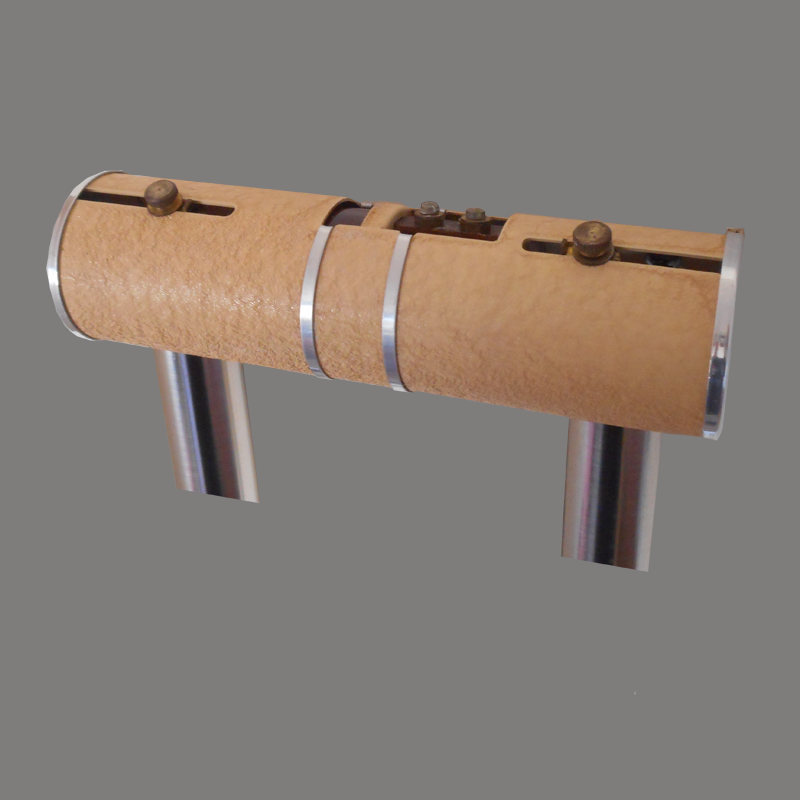 110 is a two-note long bell tubular door chime that services a single door. The T.C. 110 was a member of the 1950s Clydon line of door chimes. This chime is an example of post-war British Engineering with a simple design and economical use of material. The small footprint is similar to the 1991 iteration of the Friedland York Chime. 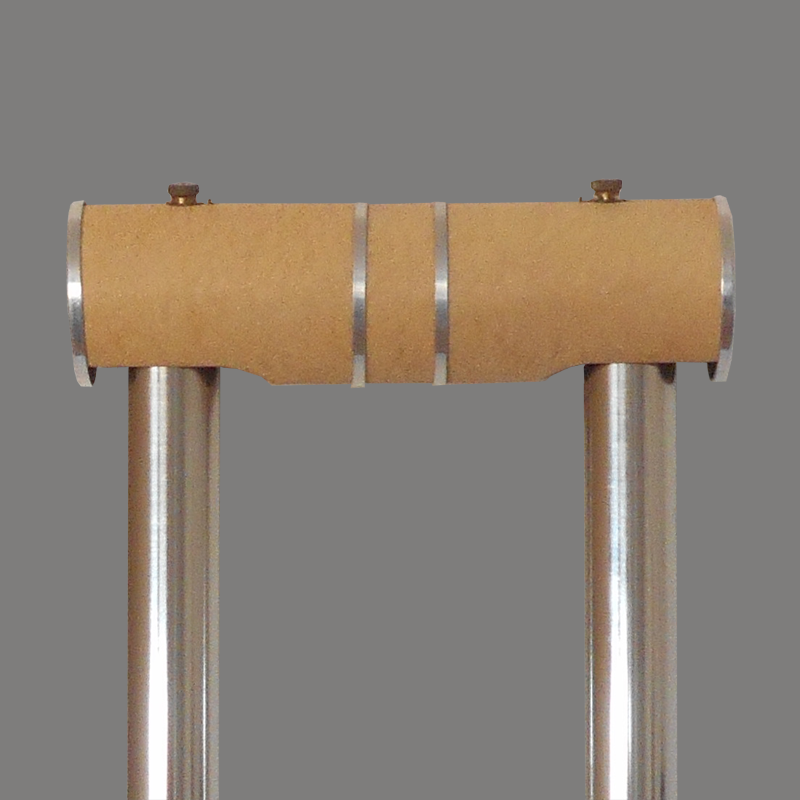 An elegantly designed cylindrical suspension head of chrome and ivory. Tubes in silver finish. For use with existing bell batteries or cells or on A.C. mains. 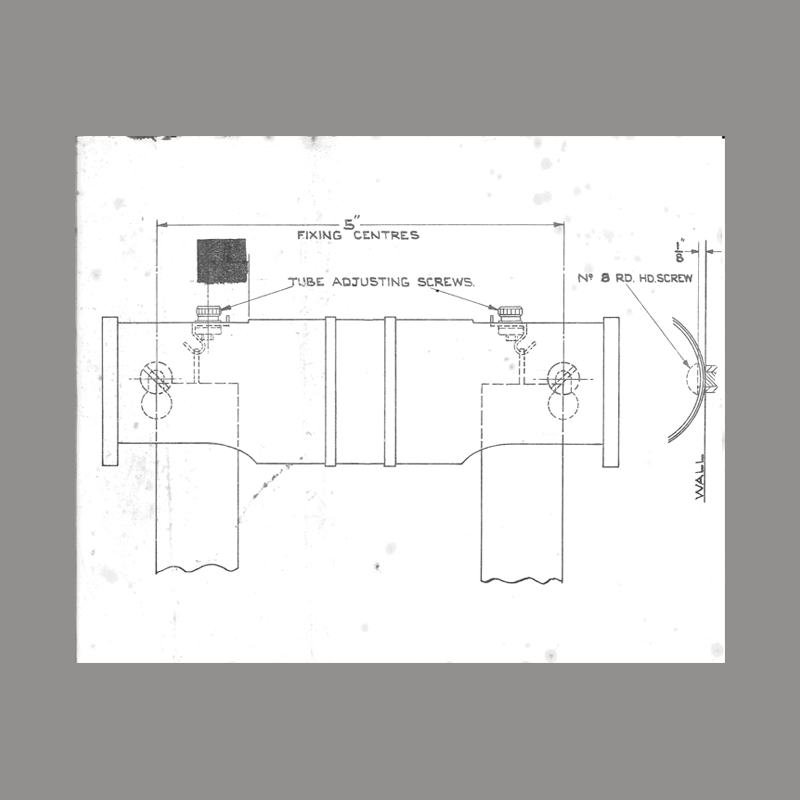 The bell suspension and adjustment is made from above the bells in a similar fashion to other long bell chimes by Carltone, Faraday and Supertone. While other manufacturers hid the adjustment scheme, the threaded adjustment screws remain proudly exposed after installation of the T.C. 110. This example was obtained in its original box with pricing shown in pre-decimal British currency. Newly manufactured bells to original specifications. Mechanism One piece construction. Cover serves as mechanism. Notes ElectraChime Collection. Original Condition. Newly manufactured bells.